Product TitlePetAg Rawhide 100% Beef Hides Dog Treats, 9", 4-ct. 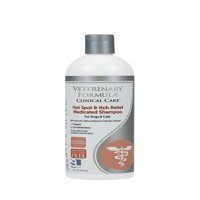 Product TitleTomlyn Allercaine Hot Spot Spray for Dogs, 12 oz. Product TitlePetAg Trophy Sure Grow 100, 100 ct. Product TitleGrizzly Salmon Oil for Dogs 4 Oz.